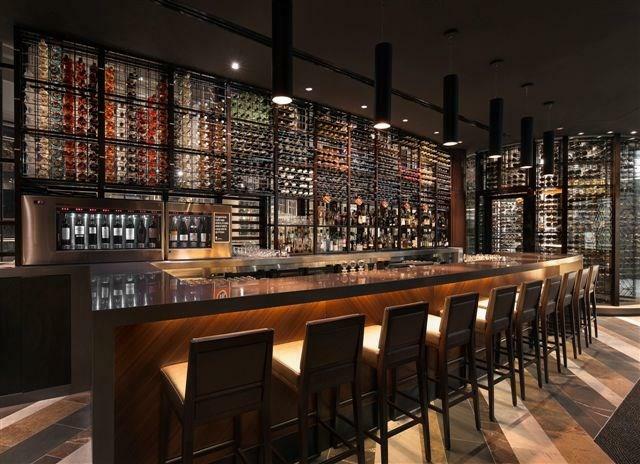 BLACK Bar and Grill perfectly marries a contemporary Australian grill with a stylish wine bar and million dollar views of Sydney Harbour and the city. 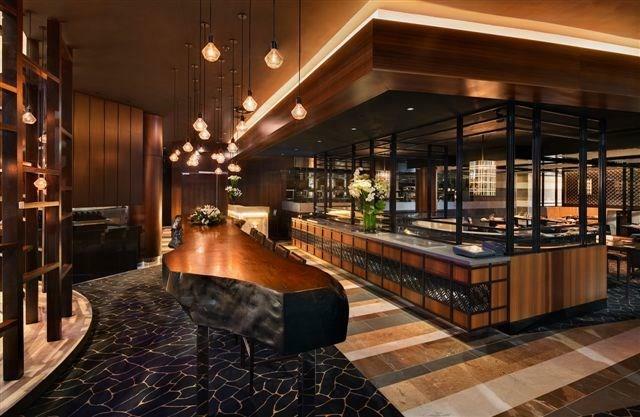 Chef Teage Ezard creates classically inspired menus influenced by the great American grills and contemporary European cuisine. 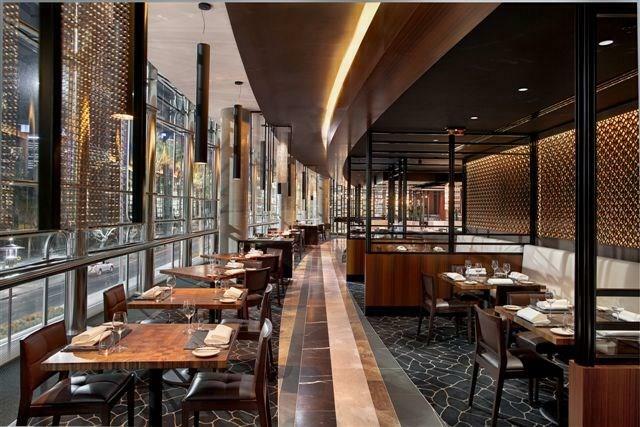 The main restaurant dining room is sleek and streamlined, with huge floor-to-ceiling windows. Liberal use of marble, warm timber tones, flattering lighting and copper highlights create an inviting ambiance to engage the senses. 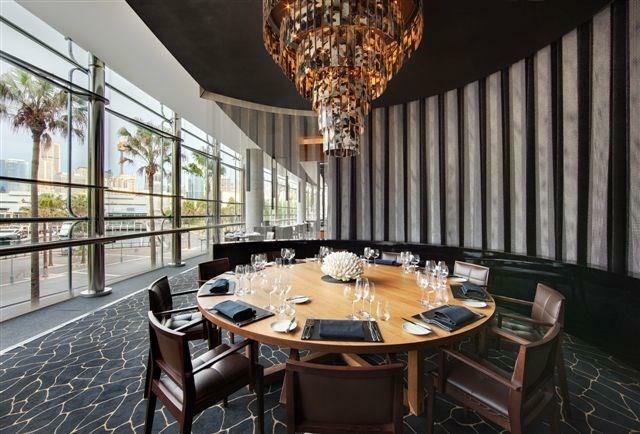 The restaurant is perfect for a dining experience for 60 to 100 guests seated in the main dining room or a cocktail event for up to 200 guests. The private dining room has separate access from the retail arcade and offers one oval table for 26 guests. It is completely enclosed, providing your group with an exclusive setting for a private meeting or dinner. 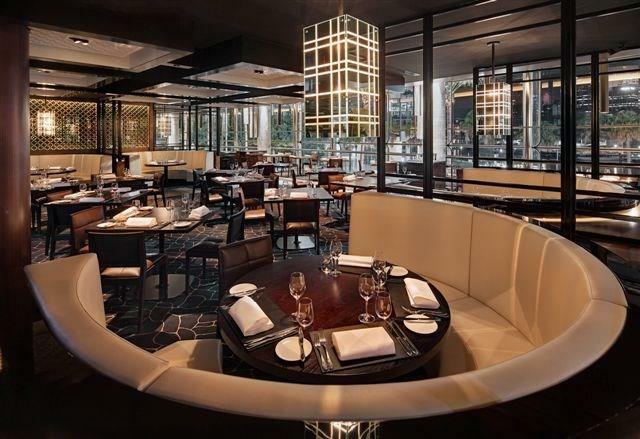 Whether it’s a cocktail party, private corporate function, exclusive dinner or awards ceremony, BLACK Bar and Grill can accommodate and create bespoke menus for your upcoming event.